Teatox Twist 28 Day Plan. 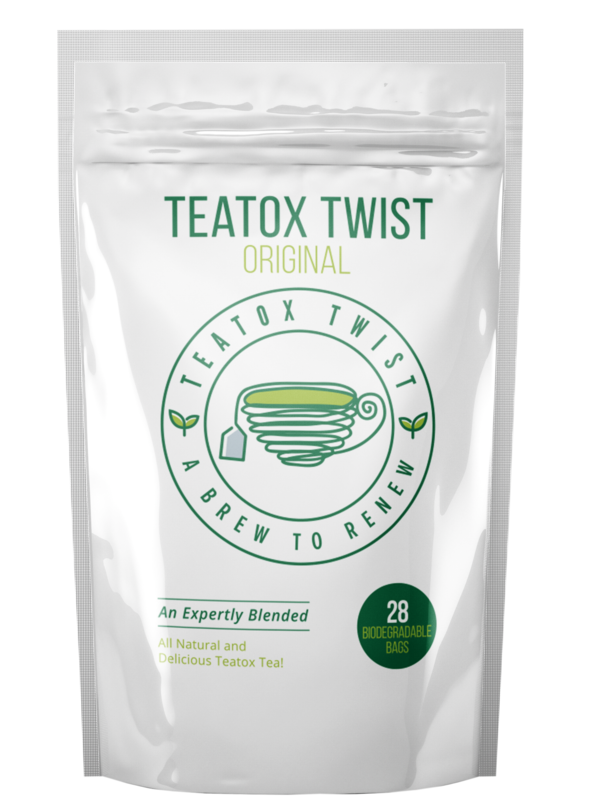 Brand New Detox Tea called Teatox Twist. An expertly blended, great tasting Detox Tea drink! Take one cup per day. Oolong Tea (Contains caffeine). Caffeine works by stimulating the central nervous system, heart, and muscles. – Oolong tea is used to sharpen thinking skills and improve mental alertness. Liquorice With a great, sweet taste, Liquorice root has been used to soothe gastrointestinal problems. Anti-inflammatory and immune-boosting properties. Schisandra Berries Schisandra is used as an “adaptogen” for increasing resistance to disease and stress, increasing energy, and increasing physical performance and endurance. Lemon Grass – helps in cleansing and flushing harmful toxic wastes out of the body, as a result of its diuretic properties. Dandelion leaves – thought to encourage fat metabolization, which is an excellent forward to achieving normal lipid levels. Helps purify the blood, promote normal blood sugar levels. Oolong Tea, Liquorice, Ginger, Fennel, Schizandra Berries, Peppermint, Lemon Grass, Milk Thistle Leaves, Dandelion leaves. Teatox Twist is not a medical product. Consult your doctor if you experience any adverse symptoms as a result of consuming this product.